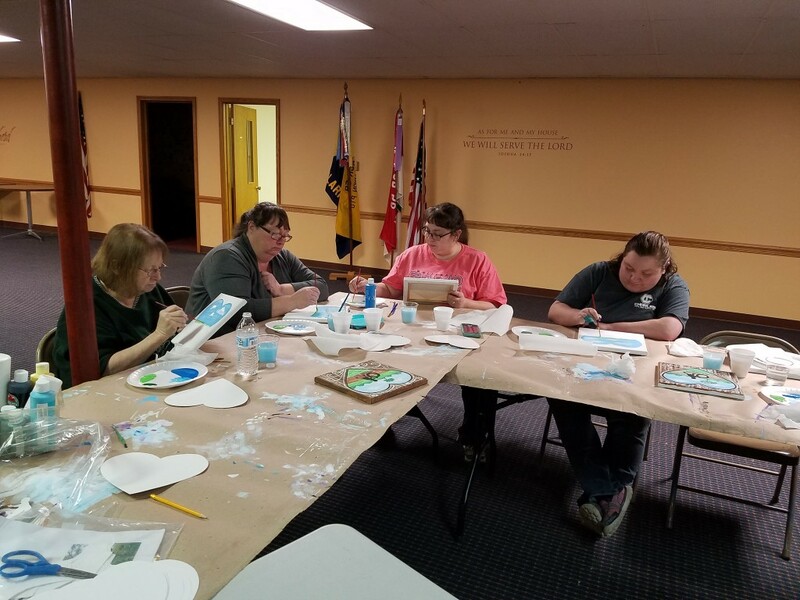 CLARION CO. Pa. (EYT) – The spirit of support for helping the most impoverished and needy children continues to stretch all the way from Clarion County to Uganda, Africa, as the Heart for Uganda organization perseveres in its mission. Local missionary Alissa Cooper Sande founded Heart for Uganda in 2009. At a young age, Alissa had a vision of saving the children of Africa. After taking a mission trip to Uganda and personally witnessing the distressing situation of the orphaned and vulnerable children in Kyenjojo, Uganda, Alissa resigned from her position as an elementary teacher at Clarion-Limestone School and moved permanently to Uganda, Africa, to fulfill her childhood dream. Headquartered in Clarion County, Heart for Uganda partnered with God’s Care Ministries in Kyenjojo, Uganda, to promote self-sufficiency through education, improved health care, and spiritual support. 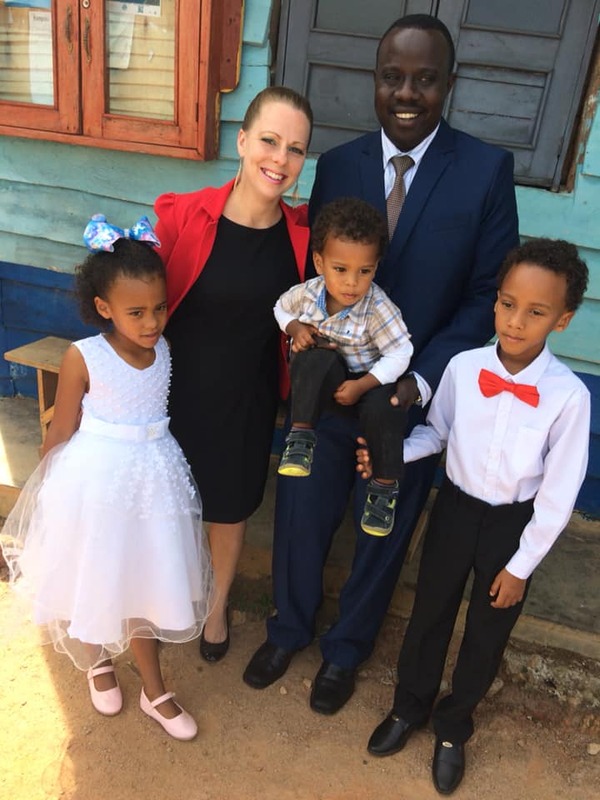 Over the years, Alissa and her husband, Pastor Victor Sande, have worked to add needed educational and medical facilities to their base of operation while also continuing in their spiritual mission. They’ve raised money in our region through a number of fundraising efforts, including their annual walkathon in the fall. Alissa Cooper Sande with husband Victor and family. 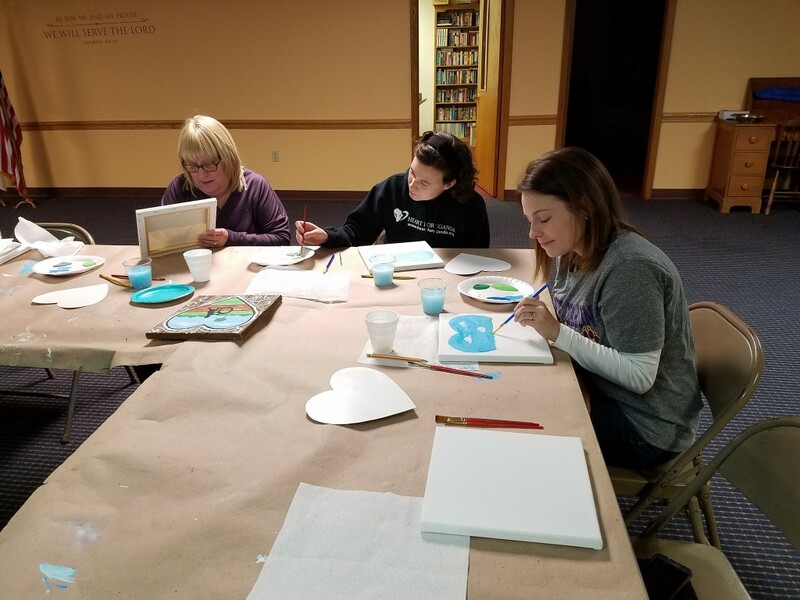 Roseville Independent Chapel located at 3598 US 322, Brookville, Pa., is hosting a Painting with a Purpose workshop on Monday, February 18, to benefit Heart for Uganda. The class, directed by Cindy Mealy, from Leeper, begins at 6:30 p.m., and will run for approximately 2 1/2 to 3 hours. 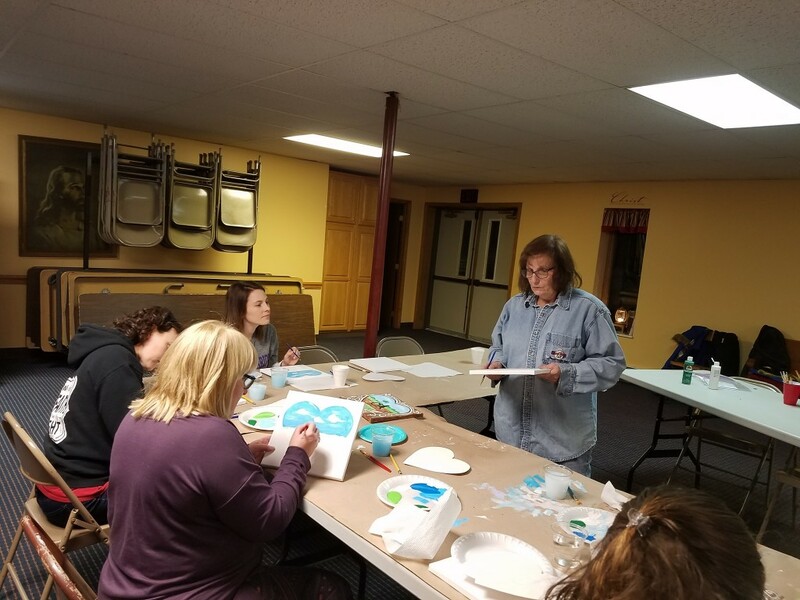 Participants will be taught how to reproduce an original acrylic painting on canvas. 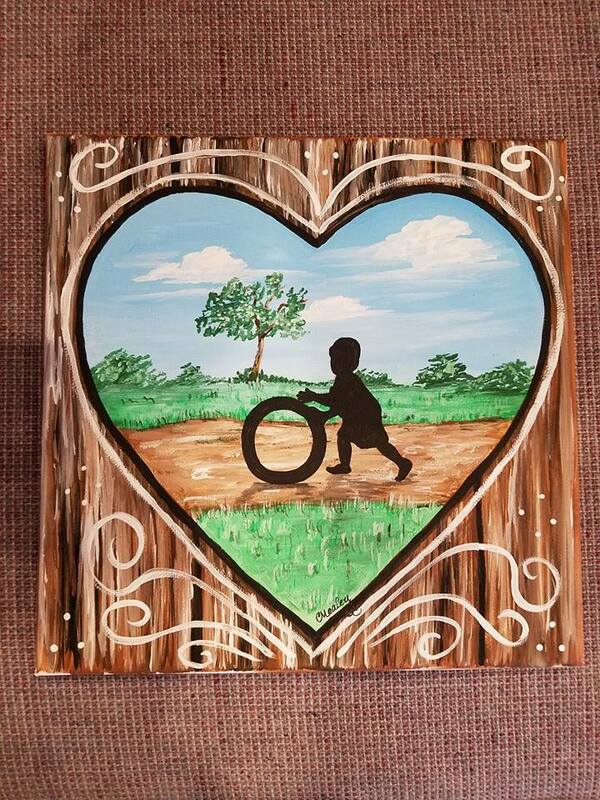 They will be given step-by-step guides on how to paint a charming picture of a small child playing in a beautiful Ugandan setting. While the theme is the same for everyone, each picture will be unique due to the individual interpretation of each budding artist. Heart for Uganda would like to thank the Roseville Independent Chapel for hosting the event. The Chapel has been an ardent supporter of Heart for Uganda for years. This cost of the class is $25.00 which includes all fees and materials to create your painting. To sign up for the class, call 814-229-0273 or email hfuoutreach@gmail.com. For more information on Heart for Uganda, visit their website at www.heartforuganda.org or follow them on Facebook. Explore’s writer Ron Wilshire contributed to this article.